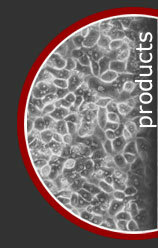 ZenBio, a pioneer in human primary cell culture, delivers quality, cost-effective human tenocytes. The adult tenocytes are isolated from the patellar or Achilles tendon from donors between 18 and 85 years old. The cells are isolated either by centrifugal force following enzymatic treatment or from an explants culture. Human Tenocytes are a useful tool in the study of regenerative medicine and other potential cellular therapies. Each lot is tested via PCR and found non-reactive to viral DNA from HIV-1, HIV-2, HTLV I, HTLV II, hepatitis B and hepatitis C. However, no known test can offer complete assurance that the viruses that cause HIV-1, HIV-2, HTLV I, HTLV II, hepatitis B and hepatitis C are not present. Since we cannot test all the pathogens, please treat the culture as a potential infectious reagent. Cryopreserved human tenocytes are shipped on dry ice and should be stored in liquid nitrogen immediately upon arrival. There are 500,000 cells/vial minimum.